Pragma Informatique was founded in 1990 by Philippe and Bernard Laudrin with the purpose of developing and commercializing an innovative space planning software. Thus in 1992 a kitchen designer of Savoy acquired copy number one of the InSitu software and became the first user of a kitchen planning software running under Windows. Recognition of a large group came just three years later with the purchase of a business license by the Lapeyre Group and the widespread use of InSitu in all the group's stores. In 1995, Transtechnology company was jointly founded by Marc Cousin and PRAGMA Informatique with the mission of promoting the use of InSitu in the fields of office furniture and commercial furniture. A special version of InSitu with a "pay as you go" payment method was launched in 1999 allowing new users to access the programme. In order to extend the success of InSitu Temporis internationally, the KitchenDraw software and theww.kitchendraw.com web site were launched two years later. Many partners have come forward to promote KitchenDraw locally and create catalogs. 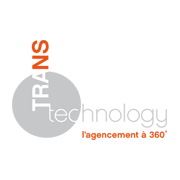 In 2006 PRAGMA Informatique increased its stake in Transtechnology to 90%. The first AppliCats (complex and bespoke product configurators) are put into operation in 2009 by companies like SALM and Sogal. Today, Pragma Informatique (including Transtechnology) is a team of 22 people and has a turnover of more than 4 million Euros. More than one million people has downloaded KitchenDraw accross five continents and more than 90 000 users are registered on the www.kitchendraw.com web site. Simplicity: Not only ease of use but also facility to deploy, operate and maintain the software. Innovativity: We believe that our customers should gain a significant competitive advantage using our software. For us, innovations mean both technological innovations (first layout software for Windows, modeling objects by script, "smart" catalogues, etc.) and commercial innovations ("pay as you go" pricing method). Affordability: Everyone must benefit from our software, from the artisan to the largest manufacturer. We propose a pricing method adapted to all situations. Openness: Everyone has his own software. Thanks to an SDK, the AppliCats, and many internal features, it is possible to customize and extend the functionality of the software and connect it to other enterprise software. Graduated from the ISEN Engeneering School he began his career as an engineer at SAGEM (electronics and embedded software for military equipments) and then founded PRAGMA Informatique six years later with his brother Bernard. Graduated from the Université d'Orsay (PhD in computer science) he entered the EDF (Electricité De France) before creating PRAGMA Informatique three years later with his brother Philippe. Graduated from the Ecole Centrale de Lille, he joined PRAGMA Informatique in 2013 and his mission is to develop the international business especially in Asia. Graduated from the IESEG School of Management, he joined PRAGMA Informatique in 2013 to develop and manage new projects. Transtechnology is the subsidiary of Pragma since 2006. Its role is to distribute one of our products, the leading software for interior design in France, InSitu. More than 20 collaborators are focused on delivering quality services, such as training session, 3D catalogs creation and support. Thanks a lot for joining KitchenDraw community ! What improvement would you like to see in next version of KD ?